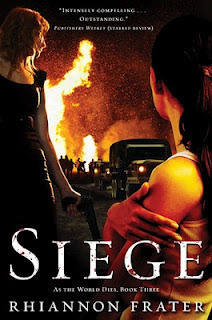 Quick Thoughts: San Diego 2014 has everything you want in a Zombie novella, wonderful characters, heroic stands, epic deaths, zombie killing badassery, dark humor and emotionally jarring moments. So, it’s Zombie Awareness Month and I was faced with a bit of a problems. How can we have a celebration of Zombies without discussing Mora Grant? Her Newsflesh Series has been the highlight of my Zombie loving life the past three years, and she was the first author ever to allow me to ask her some awkward questions in interview format. 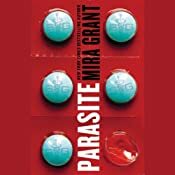 The problem was, I had already listened to all of Mira Grant’s audiobooks, even the short non-zombie Apocalyptic Scenario #683: The Box which she narrated herself. Then I remembered that I can also consume words through my eyeballs and not just my earholes. While I had listened to all the audio entries in the Newsflesh series, I had yet to read the one Newsflesh Novella not yet available in audio called San Diego 2014: The Last Stand of the California Browncoats. Also, I had this rectangular shaped plastic thingy called a Nook which you can actually download word strings that form stories onto making it a perfect devise for ocular word consumptions. Hence, my problem solved. San Diego 2014: The Last Stand of the California Browncoats takes place in the early stages of The Rising, at a time where Zombies were still fictional, and the weird stories being spread around about a new disease were basically just rumors, and rumors are not enough to keep the die hard fans from attending the annual ComicCon is San Diego. Mahir Gowda, newsie for Georgia and Shawn Mason’s After the End Times blog, has tracked down the last survivor of that fateful ComicCon, the daughter of two members of a Firefly fan group. Through his interview and other means, the tragic story of the infestation of Kellis/Amberlee into the ComicCon is told. 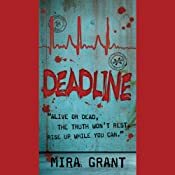 San Diego 2014 is simply another bit of evidence proving Mira Grants place as one of the premiere Zombie novelist of our time. In just about 100 pages, she managed to make me care about a group of characters and laugh and cry with them through their last moments. 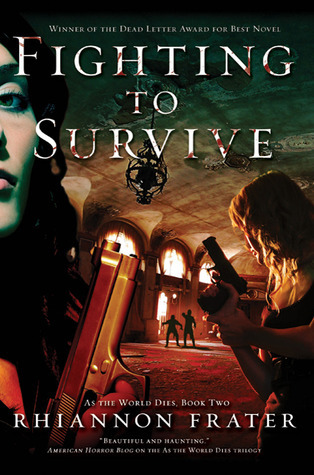 San Diego 2014 has everything you want in a Zombie novella, wonderful characters, heroic stands, epic deaths, zombie killing badassery, dark humor and emotionally jarring moments. Heck, Grant even manages to fit in a courageous service dog. One thing I loved about San Diego 2014 was, unlike her other Newsflesh Novella Countdown, this was a story that can stand on it own. Grant creates a loving image of Fandom, highlighting its quirks and eccentricities without making them seem like freaks. 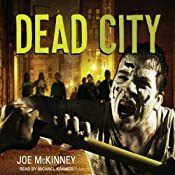 There were moments when reading this novella when I groaned at the fate of a character, or laughed at a simple line like "We are in the middle of what looks increasingly like a zombie apocalypse. Moaning people don’t need help…" Yeah, that. San Diego 2014 was the perfect Mira Grant fix needed for Zombie Awareness Month. Quick Thoughts: Blackout is full of adventure, betrayal, true love, sacrifice, conspiracies revealed, surprise enemies and allies, fascinating science and of course, zombies. It has everything you want in a series finale, leaving you both utterly fulfilled, and desperately wanting more. 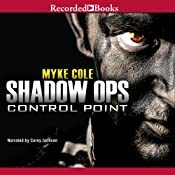 Blackout is hands down my favorite Audiobook of 2012, and if it doesn’t top my list at year end, then some miracle of audiobook greatness must have taken place to knock it off its perch. 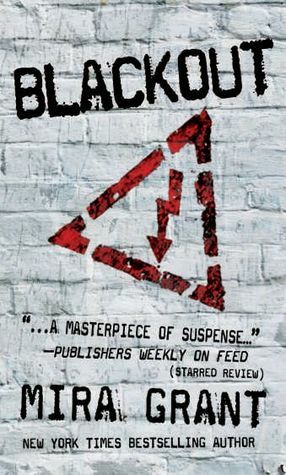 Blackout will be available in Print and Digital format on May, 22, 2012, and in digital audio format on June 1, 2012. Note: If you have not read the first two novels of this series, do not read this review. While it contains no spoilers for Blackout, there are definite spoilers for Feed and Deadline. Also, why the hell haven’t you read/listened to Feed and Deadline yet. Stop reading reviews, and grab those books now. It’ all started with some moron poking a zombie with a stick. Personally, I couldn’t believe it. 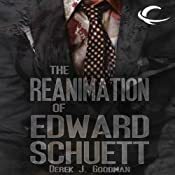 Here I am, this guy who reads and listens to tons of Zombie fiction, and watches more Zombie movies than is legally considered healthy, and I’m listening to a book which starts with some moron poking a zombie with a stick, followed by some Dukes of Hazardesque chase seen with a motorcycle instead of the General Lee and Zombies playing the role of Roscoe P. Coltrane. You see, when I started Feed, I had no idea who this twisted soul known as Mira Grant, or her Fantasy writing alter ego Seanan McGuire was. I had no idea how much she loved these twisted B-Horror type scenarios that should totally come off as ubercheese. Most importantly, I had no idea, as I followed this moron Shaun Mason, and his sister Georgia, that I would fall in love with them, and this strange, hauntingly plausible world they lived in. I had discovered Feed, late one night, while searching the Overdrive Library system. It was the blood splattered cover and tagline, “Good News: We Survived. Bad News: So Did They.” that caught my attention. I was mildly pleased with my discovery. 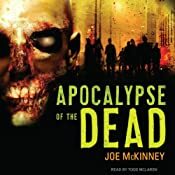 While I had read quite a few Zombies novels, I had yet to read one written by a women and I was looking forward to experiencing something maybe just a bit different. It is a decision I’m glad that I made. 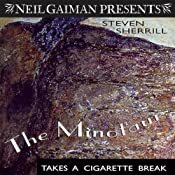 It’s now been almost 5 days since I finished listening to the finale of The Newsflesh, and I really needed that time to let it settle in. If I had written my review right after I completed listening to the audiobook, the review would have been an utter geekgasm, full of heart signs, XOXO’s and pictures of Lotsa Heart Elephant and the rest of my favorite Care Bear Cousins. Five Days later, and my appreciation and love of the trilogy hasn’t waned, but I have stepped away enough to be able to get my fanboyishness down to a more acceptable level. Although, fair warning, if I ever do meet Mira Grant in real life, I cannot promise that I won’t squeal, run over and give her a hug that both of us would find a bit awkward after the fact. I am not known for impulse control. So, I guess I should talk about Blackout. If Feed is a Political Thriller with Zombies and Deadline is a Science Thriller with Zombies, than Blackout is their brilliant love child. Grant is able to take the best aspects of both novels, and blend them together is a way that exceeded even my high expectations and produced the rare series finale that delivers more than just the goods. 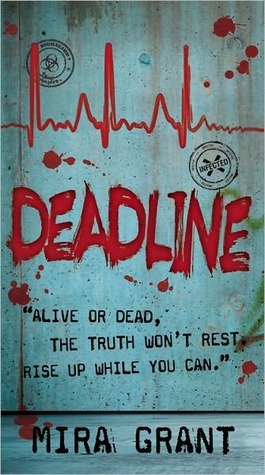 The ending reveal of Deadline, was such an utterly brilliant, game changing, world shaping moment that I loved and feared it. Sometimes the worst thing a writer can do is give the readers what they want, and what any reader of Feed wanted was more Georgia Mason. Georgia Mason is a character that you can’t help but want to be like in all her complicated forms. Yet, I was worried about what Grant would have to do to fit her comfortably back into this world. I really shouldn’t have spent the year worrying about this. Georgia’s return fit seamlessly into the narrative, adding such a wonderful new slant to the overall tale. 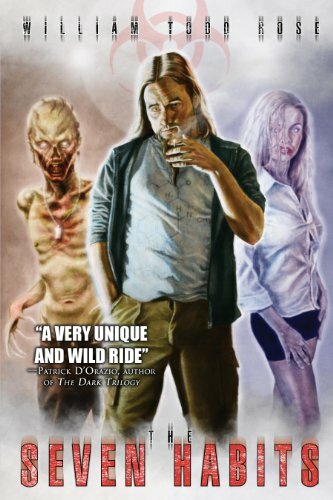 Yet, with my insatiable crush on Georgia, and desire to hang with the After the End Times crew, the true star of Blackout and the Newsflesh trilogy is the world Grant has created. 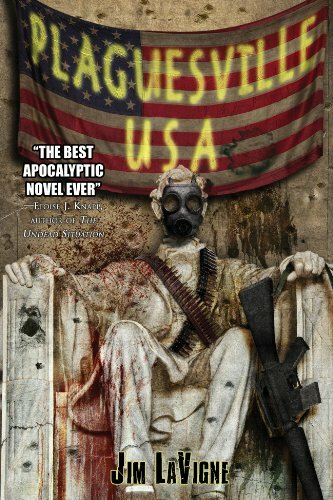 Grant’s world is a realistic depiction of a society attempting to retain normalcy in what typically would be viewed as an apocalypse. In an America irrevocably altered by Kellis-Amberlee, the dead walk, spies have PhD’s, government agencies use fear to maintain control over the populous, and mad science may save humankind, but destroy the world in the process. Grant pieces it all together like a complicated puzzle that you have no idea what the final picture is, but when it is finally revealed, it knocks the breath out of you. Blackout is full of adventure, betrayal, true love, sacrifice, conspiracies revealed, surprise enemies and allies, fascinating science and of course, zombies. It has everything you want in a series finale, leaving you both utterly fulfilled, and desperately wanting more. If any part of you thinks I am overdoing my praise of Blackout, this, my friends, is restrained fanboyishness. 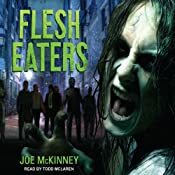 Typically, fans of series want consistency in audiobook casting, yet with the unique challenges of The Newsflesh series shifting perspectives, this was tough. Fans of Feed will be happy to know that Paula Christensen has returned to handle Georgia’s perspective. I had some small quibbling complaints with Christensen’s performance in Feed, yet in Blackout Christensen’s performance is flawless and beautiful. She totally encompasses the role of Georgia. Christensen has a unique, yet lush voice that highlights Georgia’s maturity, while still staying true to her youth. 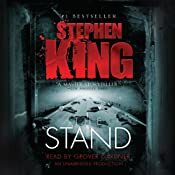 Yet, the biggest surprise for me in the audiobook was Michael Goldstrom’s performance. 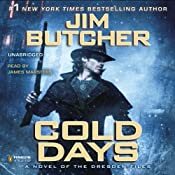 Goldstrom takes over for Chris Patton who read the Shaun Mason perspective in Deadline, yet there isn’t that discontinuity that often occurs when there is a narrator change. Goldstrom, like Christensen, becomes Shaun Mason. He is totally believable in this role. Yet, the highlight of the audiobook was Goldstrom’s performance of the peripheral characters, particularly Mahir. 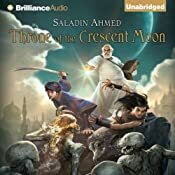 He delivers Mahir exactly as I imagined him, and fills him with heart, transforming him, along with Grant, into perhaps my favorite character of the series. Both narrators work together well. These is a bit of disconnect when the perspectives finally merge, and you have multiple narrators handling individual characters but you quickly adjust to this necessity, which isn’t nearly as jarring as I have experienced in other productions. Overall, every aspect of this production was done just right, the sound crisp, the narrators spot on, and the pacing perfect. 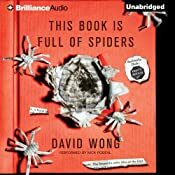 Blackout is hands down my favorite Audiobook of 2012, and if it doesn’t top my list at year end, then some miracle of audiobook greatness must have taken place to knock it off its perch. 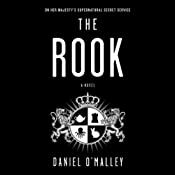 Note: Thanks to Hachette Audio for proving me with a copy of this title for review. It’s that time of year. I know every year you anxiously wait to find out what The Guilded Earlobe has chosen as his favorite audiobooks of the year, with your audible credits and library’s Overdrive website ready to go. A few things to note. This is a list of my favorite audiobooks that were produced in the calendar year 2011. Some of the books may be older, but their audio versions appeared in 2011. I am in no way a literary expert. This list is judged solely on how much I enjoyed the novel and its narration. This list is heavy on Genre and speculative fiction titles, because that is what I read most of. At the time this list had been written I was just about to finish my 165th audiobook of the year. While I did receive some of these titles for free as review copies, that in no way impacted their rank, nor have I been compensated in any way to promote any of these titles. 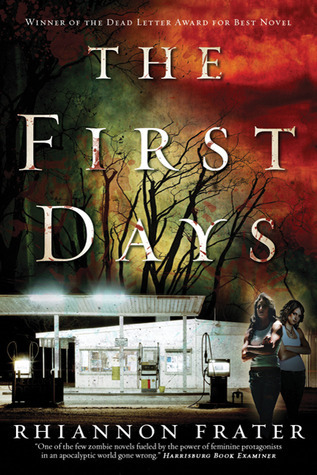 In 2011 I began actively blogging and reviewing audiobooks. This definitely affected my reading habits, since I was more aware of trends and the hype of the publishing industry. 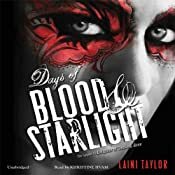 In 2010 I spent a lot of time listening to complete series, where as in 2011 I listen mostly to standalone novels and took more risks in my overall selection of books. I think that change has helped make more well rounded list. I hope you find something on this list that tickles your interest. 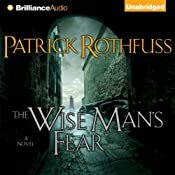 I really struggled with what audiobook to pick as my number one of the year. Dan Well’s John Cleaver series is a wonderful look at a young man who fights against his dark nature. In many ways John Cleaver is an anti-Dexter, a character with a “dark passenger” that doesn’t give into its control. 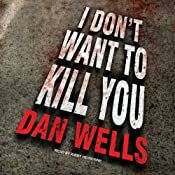 I Don’t Want to Kill You is the finale of the series, and may be the best finale of a series I have read in a long time. The ending of I Don’t ant to Kill You affected me more than any other book this year and still haunts me every time I think about it. Kirby Heyborne deserves a lot of credit for the work he does narrating this novel. I suggest if you haven’t read this series that you take on the first novel in print, then the final two in audio. 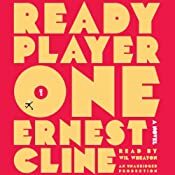 Ready Player One will be on many Best of lists, maybe even topping a few. It’s a fun ride through 80’s nostalgia and a sci-fi dystopian near future. 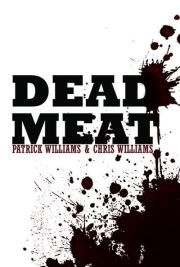 In my opinion, the audiobook version, narrated perfectly by Wil Wheaton is the best way to experience this novel. Wheaton’s grasp on geek culture allows his to not only voice the characters of the novel, but capture all it’s bells, beeps and whistles. 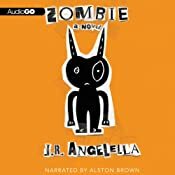 In the year of the Zombie audiobook, Isaac Marion’s zombified reimagining of Romeo and Juliet is the best Zombie audiobook of the year. Kevin Kenerly is brilliant in his reading, giving the novel a breezy flow that underscores the themes of the novel so well. 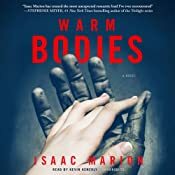 Warm Bodies is currently in production for a movie version, so listen to the audiobook to prepare yourself for this event. Children of Paranoia is a story of a secret war between two anonymous groups that is raging on our streets. I have heard many people list this novel of dystopian. It is not and it is not science fiction. 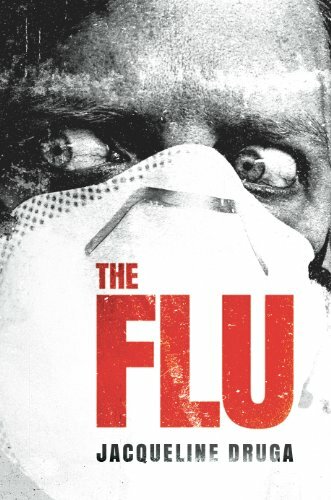 What makes this novel so effective is that it is taking place in our world, behind our backs. Despite the deep secrets of the war, that even the participants don’t understand, Shane gives it such a feel or reality that it’s frightening. 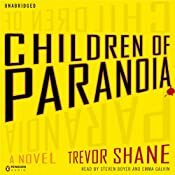 Children of Paranoia was the biggest surprise novel of the year, and Stephen Boyer and Emma Galvin adds a lot of depth to it with their reading. 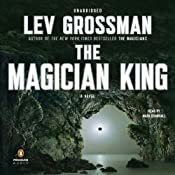 If any novel gives Ready Player One a run for tickling my nostalgia bone, it’s The Magician King by Lev Grossman. The Magician King and its predecessor The Magicians is a twisted adult and often brutal version of the fantasy novels I loved as a kid, particularly The Chronicles of Narnia. 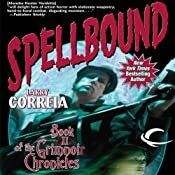 Mark Bramhall takes on the role of storyteller as he leads us through the dark sides of our world as well as the magical land of Fillory. I have always loved legal thrillers, yet I feel the best years of the genre were the 1990’s and since then, the novels have moved from solid Courtroom procedurals to basically detectives with a bar card mysteries. It’s been nearly 20 years since some of my favorite legal thrillers, like Philip Friedman’s Inadmissible Evidence, and Turow’s Presumed Innocent. 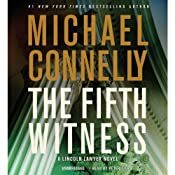 Then Michael Connelly, a non-lawyer, but arguably the best procedural writer in the business, comes out with the Mickey Haller series. 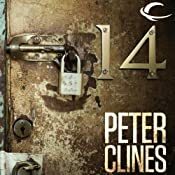 The Fifth Witness is my favorite legal thriller in over a decade, and wonderfully delivered by narrator Peter Giles. 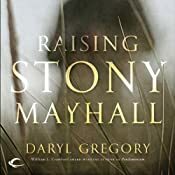 Raising Stony Mayhall is a book the reminded me in many ways of Winston Groom’s Forrest Gump, in that it’s the tale of a young boy, whose somewhat different, who goes on to live an amazing life that affects many people. The major difference is that Stony is a zombie. Raising Stony Mayhill hasn’t received the hype it deserves. It is a really good book, and should be able to reach past its genre and pull in fans of types. With all the hype of the blending of literary and genre titles, this book succeeds where so many other have failed. David Marantz does a wonderful job bringing this story to life, and is a narrator to look out for in the future. The truly supernatural aspect of Michael Koryta’s novels is they somehow when you think he’s put out a novel that cannot be bettered, he betters it. The Ridge starts with an unsettling image of a lighthouse built in the hills of Kentucky far away from any body of water. 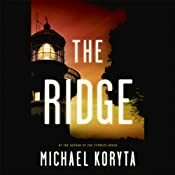 In The Ridge Koryta blends a gothic history with modern day thriller to present one of the more unsettling novels of the year. Robert Petkoff continues his streak of enhancing Koryta’s novels with his wonderful narration. 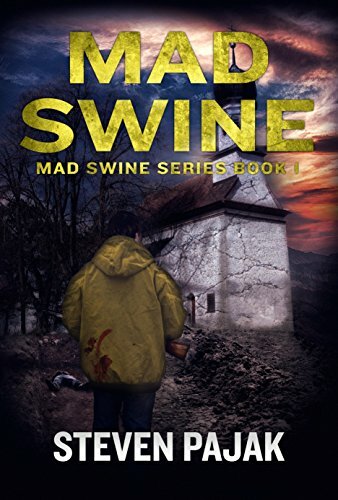 If you would have told me that one of the most engaging characters of the year would have been a half-bull/half man who speaks in grunts and short gruff sentences, I probably would have told you, “Yep. Sounds about right.” Thanks to Neil Gaiman, whose audiobook line is now bringing us some of his favorite novels into audio, audiobook fans are finally meeting this wonderful character. 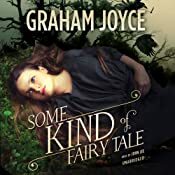 Holter Graham does a wonderful job narrating this slice of life tale of a mythological creature in a very real American south. 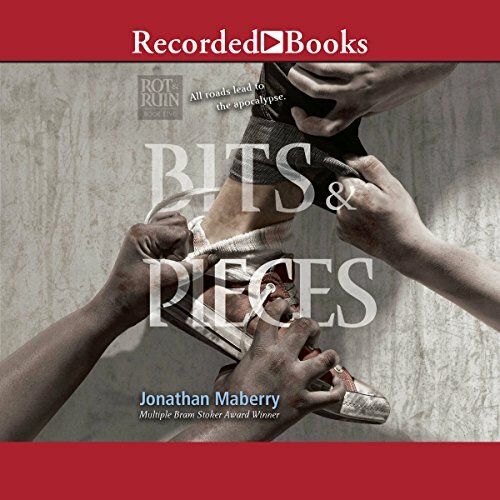 Jonathon Maberry has been my author revelation of the year. 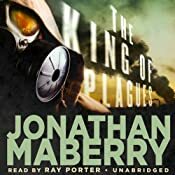 I have listened to more Maberry audiobooks (9) this year than any other author by far. 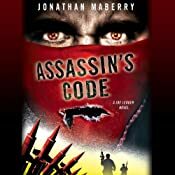 Maberry’s Joe Ledger series is on of the tightest, well plotted action series around. Ledger is such a wonderful engaging character that you become totally invested in his actions. Ray Porter seemingly becomes Joe Ledger in his reading of this novel. He utilizes heavy sighs, a cracking voice, and flushes of emotion to really bring Ledger to life. 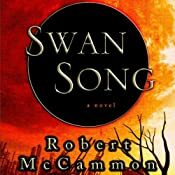 While Swan Song is nearly 25 years old, it has finally been given the audiobook treatment. Swan Song is one of my all time favorite novels. It is the tale of America after a full nuclear exchange. 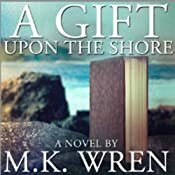 It is a book I have read at least 5 times, and I was looking forward to reentering a world I knew so well in audiobook form. What I wasn’t expecting was to discover a hidden poetic beauty in its prose that was brought to life by Tom Stechshulte. 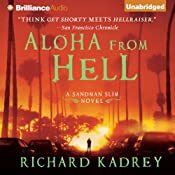 Richard Kadrey’s Sandman Slim series is quite entertaining, but Aloha From Hell takes a giant leap forward in quality. Kadrey really outdid himself with this twist on Dante’s Inferno told from the perspective of his punk rock protagonist. 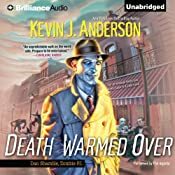 MacLeod Andrews continues to blow me away with his characterizations, as he really gets into the heads of these characters bringing them to life in a scarily realistic way. 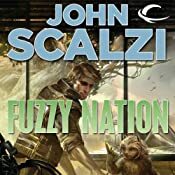 John Scalzi takes a risk that pays off in his reimagining of H. Beam Piper’s classic scifi story Little Fuzzy. It’s a nice quick tale of a prospector on an alien planet who meets some cute, Fuzzy creatures. The question is, are these cute little animals, or sentient beings? John Scalzi’s tale of what it means to be human is delivered smoothly in Wil Wheaton’s direct narrative style. My only complaint was that the novel ended a bit too quickly. This is quite a year for novels set in hell. 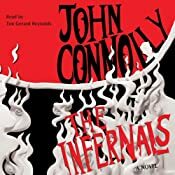 Irish Author gives his own hilarious slant to Dante’s Inferno in this endearing sequel to The Gates. It’s full of wonderful characters, otherworldly adventure, and a series of laugh out loud footnotes that truly enhances the overall story. 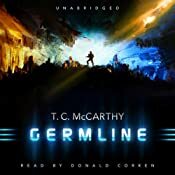 Tim Gerald Reynolds gives what is perhaps my favorite narrator performance of the year. It was simply a joy to listen to and a book that should appeal to everyone from children to adults. 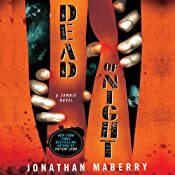 Despite my love of Zombies, Dead of Night is probably the only zombie novel this year to actually scare me. Maberry uses the essence of his zombies to horrifying effects. William Dufris adds to the chills with his wonderful characterizations. 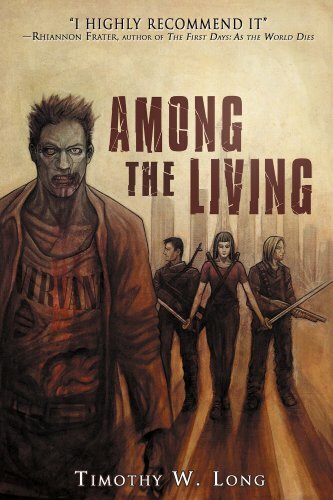 The fourth and final Zombie book of my top twenty. 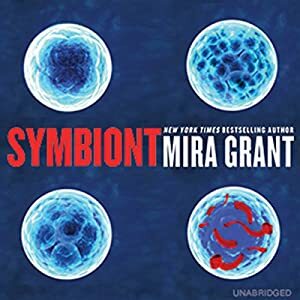 As the second book in Mira Grant’s Newsflesh Trilogy, we find ourselves in the midst of a world that has adapted to living with zombies, and the ever present dangers of the Kellis-Amberlee Virus. In Deadline, the science takes center sage and Grant handles it with loving detail. Chris Patton does an excellent job capturing the brokenness of Shaun Mason. 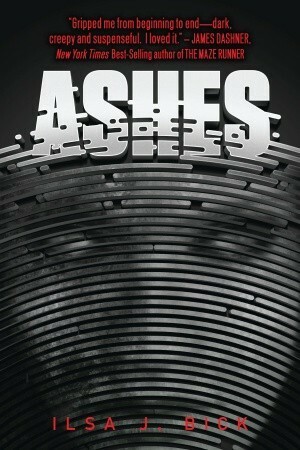 All that and an amazing ending that makes Blackout one of my most anticipated releases of 2012. 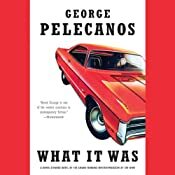 Pelecanos introduces a new series character, Spero Lucas, an Iraq war vet who works as an unlicensed Investigator. While Spero is fascinating in his own right, it’s Pelecanos rhythmic urban prose that wins me over every time. 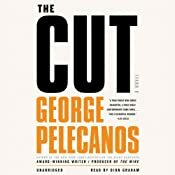 Dion Graham turns Pelecanos’ prose into poetry making this audio a joy to listen to. The long awaited sequel to Rothfuss’ debut Fantasy novel The Name of the Wind was well worth every minute of the wait. The Wise Man’s Fear is a series of moments in the life of a young man who will grow to be a legend. Rothfuss brilliantly shows us how tales are altered to become legends, yet still maintaining a feel of truth. Nick Podehl handles a novel full of poetry and unique communication styles perfectly. 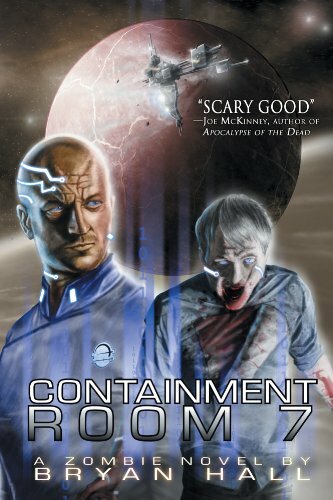 While Germline is considered a military science fiction novel, it is unlike any Military scifi novel I have read. 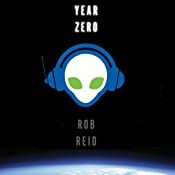 This isn’t a grand tale of space adventure, but a gritty realistic look at a future on our own planet. Germline is more akin to Matterhorn then Honor Harrington. It’s characters are flawed, and their orders murky and inconsistent. Donald Corren allows the nature of the narrative to affect his reading in just the right way, allowing us to hear the transformation of the characters as they move through each phase of the story. 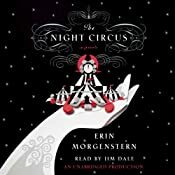 While the story may be about two magicians manipulated into a secret contest by their mentors, the real hero of this tale is Morgenstern’s lush, gorgeous prose. The story is full of beautiful moments, but it is the underlying sense of a mysterious darkness that separates it from many of the other novels people have attempted to compare this one to. Jim Dale adds a truly magical feel to the reading of this novel. I have two honorable mentions. Both of these titles totally blew me away. The only reason they didn’t make the list was that they were not released in 2011.